Summary: Here is the transcript of our May 29 chat with atrial fibrillation experts Dr. Oussama Wazni and Dr. Sergio Pinski of the Cleveland Clinic answering your most pressing afib questions. Atrial fibrillation or Afib is the most common heart rhythm abnormality. Over 2 million Americans are affected by AFib and while it is often a mere annoyance, it is responsible for 15% of all strokes. It can also be responsible for life-threatening medical emergencies that result in cardiac arrest and even sudden death. Cleveland Clinic afib experts, Oussama Wazni, MD from Cleveland, OH and Sergio Pinski, MD from Florida, answer your questions about atrial fibrillation and other irregular heartbeats. This chat is hosted by Cleveland Clinic and StopAfib.org. Please note that the comments below are the opinions of the Cleveland Clinic doctors. If you quote these opinions elsewhere, please reference the specific doctor whose opinion you are quoting. thumper2: Am 78, never smoker, do not drink, been in Afib for 10 years. Last year, had a pacemaker (70 bpm) installed. Shows I am in Afib all the time. A PVA and several cardioversions didn’t keep me in sinus rhythm. I take Metoprolol, Altace, Norvasc, and Warfarin. My atria are enlarged, some valves regurgitating. My symptoms are not dire, except for fatigue and occasional “breathlessness.” Some fatigue is lessening since CPAP treatment for sleep apnea. Am using a treadmill (2.5; no incline) 25 minutes a day. My heart rate on treadmill varies constantly, 74 to 192. At end of summer, I will have an ECHO cardiogram, to see how my heart is faring, and if some type of surgery might ever be warranted. My question is: can I do anything to rid myself of this “breathless” feeling I sometimes get when walking or climbing stairs? It can cause me to slow down or stop. My lungs are good, and I don’t get that same feeling when on treadmill or exercise machines. Oussama_Wazni,_MD: Your symptoms may not all be related to atrial fib - I agree that an echo may be indicated to assess your heart and valve function. adourian: I have had four paroxysmal afib episodes over the last two years. I also have periodic PACs. The first episode I was admitted to the hospital and given diltiazem, cardizem and potassium chloride and I converted to sinus rhythm in about 10 hours. The 2nd time I was treated as an outpatient with the same drugs and converted after 10 hours. I was told for the next episode to let it run its course and seek help if I hadn't converted within a day. This episode also converted in about 10 hours. The last episode also converted in about 10 hours but had different characteristics in that instead of a BP of 130/75 it was 86/61 with the usual rapid irregular pulse but it was weak. I also felt lightheaded but not dizzy. Is this just another manifestation of a paroxysmal afib or should I seek medical tests the next time BP drops to that level? Sergio_Pinski,_MD: You should seek care earlier if you are very symptomatic or the blood pressure is low. You could consider a device such as AliveCor to make a recording at home and confirm that the rhythm is atrial fibrillation and not something else. MareyMack: First, I am so thankful for these sessions especially on the heart, so thank you! My concern: heart rate. I am active, tall and slim 58 yr. female, undetected rheumatic fever in elementary school leading to mitral stenosis found in 1981. At 31 that year, surgeon massaged/reopened m/valve. But had m/valve replacement (St Jude mechanical) age 35 in 1991. Dec. 2014 showed echo numbers good, heart monitor Dec. 29th showed all is working fine but heart misses a beat now and then while sleeping. Since being taken off Metoprolol 25mg ER Nov.2014 by new heart doctor (doc retired/had me on it for fast heart beat), I am concerned of my heart rate: sometimes is 70 but more 85 to 90 every day/night even when reading/watching TV. My PCP doctor says to get it to 80. (stress test is out. I did it once and won’t go thru it again.) How concerned should I really be with this high heart rate and do you recommend a medication for this and is there something I can do to lower my heart rate? Sergio_Pinski,_MD: Your heart rate is now higher because you are not taking the beta-blocker (metoprolol) anymore. Many people feel better off beta-blockers. kayike: I am an 80-year-old male, suffered a heart attack and had triple by-pass surgery 24 years ago. Diagnosed with Afib three-four years ago, for a while it came and went now it is present all the time. Lately experiencing shortness of breath and rapid heart rate when going up a flight of stairs walking rapidly and bending down, recovery is quick. Cardiologist says it is the Afib, Electrophysiologist wait and see months, primary care physician suspects blockage which was not detected by non-invasive procedures. I take Metoprolol Succinate 150 mg, Eliquis 5mg twice daily, low dose Aspirin and Losartan/HCTZ 50-12.5. Sergio_Pinski,_MD: I would consider trying to restore sinus rhythm in your case. This could entail cardioversion and an antiarrhythmic drug or catheter ablation. Checkers: Good Morning - I am inquiring for my mother who has atrial fibrillation and tachy/brady as to the side effects of her medicine, Sotalol. She has been on Sotalol since her pacemaker was implanted in December 2012. She was started on 80 mg twice daily and was increased to 120 mg twice daily. She has been having side effects of redness, purpleness and swelling of the feet and hands. She was told that her blood vessels were constricted and is extremely concerned about the possibility of amputation. She was told it is Raynaud's but never had this until after taking the medicine. If she were to discontinue the medication, and if that is what is causing the swelling, will her veins go back to normal and blood go through as it did prior to taking the Sotalol or is it irreversible? Obviously she was prescribed this medication for rate and rhythm control but is there another medication specifically that she could take that would help her heart but not have these detrimental side effects? Sergio_Pinski,_MD: Raynaud's phenomenon could be a side effect of a beta-blocker such as sotalol. It would make sense to stop it and try a different medicine without beta-blocker effect, such as dofetilide. viraj: Previous question: I was diagnosed with paroxysmal AFIB in February. Came in once a week in the first month. In March I got one episode and the final in April 14. We tried to control it through alternate means - eliminating coffee, chocolate etc. Started taking Rythmol 225mg twice a day. I have had no episodes since then. I am wondering if I can stop the medication sometime in the future. I am 150lbs, 5,9", 60 years of age and in good physical condition. I have asthma, which is under control and heartburn. I take 5mg of Lipitor (1/2 a 10mg tablet) and 20 mg Omeprezole on a daily basis. Addition to previous question: I did get an episode last night and also I am Dulera (two puffs twice a day) for control of my asthma. Sergio_Pinski,_MD: Some people can control atrial fibrillation by elimination of triggers, weight loss, healthy diet, management of sleep apnea, control of stress. Bronchodilators (as well as uncontrolled asthma) can trigger atrial fibrillation or make it worse. bclarkin: I've gone into a fib twice in the last six months. Both times I was exhausted from working out that morning. I work out seven days a week (1 hr. and 20 min. 6 days, and 20 min. on the 7th day). Can this be causing my a fib? Oussama_Wazni,_MD: Endurance exercise and extreme exertion can be a trigger for atrial fibrillation. mrnaples: 1) Should you eliminate caffeine and alcohol completely with history of afib? 2) How effective is multaq in preventing afib? Sergio_Pinski,_MD: Many people with atrial fibrillation can have alcohol and caffeine in moderation (i.e., no more than a drink per sitting). Clinical studies show that Multaq (Dronedarone) is less effective than other antiarrhythmic drugs in preventing atrial fibrillation. ronpalm: My afib is preceded by the start of an upset stomach. Is there any correlation and would the Vegas nerve be a component factor? Sergio_Pinski,_MD: It is not uncommon for atrial fibrillation to be preceded by gastric symptoms. The vagus nerve may be involved. There is anecdotal evidence showing that treating the stomach problem can help with atrial fibrillation. MarteeP: Thank you for your answers to the following: Does flying affect Afib issues and if so, how, and what can one do to alleviate reoccurrences of afib caused by flying. I would like to fly more however, I have non-persistent "afib" and have had three electric shock treatments and would prefer not having them but reading all the above info and other info, I also feel flying harms the body and causes heart flutter. correct? Sergio_Pinski,_MD: Are you a passenger or the pilot? The FAA has very strict rules for pilots with arrhythmias. If a passenger, I do not think that flying per se is a common trigger of atrial fibrillation. You should try to avoid stress and dietary indiscretions and drinking often associated with travelling. MarteeP: I am a 66-year-old female with Afib; non-persistent. However, when I go to the dentist, I was told by my cardiac nurse not to use "EPI" which is short for epinephrine. True? Sergio_Pinski,_MD: There is no evidence that the small amount of epinephrine in local anesthesia for dental procedure would result in atrial fibrillation. Pain and stress can, though. adourian: I have had several paroxysmal afib episodes where blood tests were taken during the episodes. Each time my potassium levels were significantly lower (3.4) than when I have my blood tested during my annual physicals (4.9). The thyroid blood tests are normal as well. Are the lower potassium levels caused by the afib or could the lower levels possible be the cause of the afib? Sergio_Pinski,_MD: Three possibilities: a) Low potassium caused atrial fibrillation b) The stress of atrial fibrillation (i.e., adrenaline/cortisol release) caused low potassium c) Both atrial fibrillation and low potassium are caused by a third factor (i.e., inhalers, alcohol, dehydration, stress). It may be impossible to know. It makes sense to try to maintain your potassium levels on the higher side and avoid possible triggers. Non selective beta-blocker such as propranolol and nadolol can mitigate stress-induced hypokalemia (low potassium). janziagos: I've heard that there may be a link between sleep apnea and a-fib, and that the use of a CPAP machine can be significant in reducing and/or stopping fib events. Is this true? Should we all be tested for sleep apnea? Sergio_Pinski,_MD: Sleep apnea is very common in patients with atrial fibrillation and can be often suspected from clinical data: obesity, size of the neck, loud snoring, witnessed stop of breathing or choking during sleep. There is some evidence (although not from randomized controlled studies) suggesting that effective treatment of sleep apnea with CPAP reduces atrial fibrillation. jlp152: I have frequent heart flutters but whenever I have worn a holter monitor I never have an episode. Does a fib show even if you don't have any heart flutters while wearing the monitor? Sergio_Pinski,_MD: The Holter is likely to be normal the day you don't experience symptoms. You could consider a longer term recording system or the AliveCor phone application. Buford: Should a 21 day heart monitor be used with or without heart medication (flecainide)? This past March I contacted a cardiologist and started the monitor and was prescribed the medication the next day. My irregular heart beat has been intermittent for the past years. I self-monitored my heart rate for one year in 2012 and found 60 days the beat was irregular. Second question. It has been suggested that I have ablation for atrial flutter. But I believe I also have occasions of afib. Can both be operated on at the same time? My information is that atrial flutter is more easily corrected and a shorter procedure, correct? What is the best way to proceed? Oussama_Wazni,_MD: If you have both afib/flutter despite the use of flecainide, then ablation that targets both is indicated. The monitor usually is used to diagnose the cause of palpitations and once that has been determined then the use of the monitor can be for monitoring the effect of therapy. Terence: I have had vagally mediated paroxysmal Afib for about eight years. It typically occurs weekly for 6 to 20 hrs. The symptoms are mild. Several years ago a new trigger for my Afib began which occurred whenever pressure was applied to the area at or just below my beltline. Independent of these symptoms I would occasionally have acid reflux like symptoms and at other times shooting pains in my left arm sometimes radiating to my jaw of a nature which I associated with a heart attack yet my heart rate was normal during these events. I googled the symptoms which produced articles associating it with GERD. I obtained Prilosec OTC for use over two weeks. My symptoms disappeared but gradually returned again. My internist suggested I take Prilosec continuously which I have been doing for four months. The pressure triggers for my Afib have gone. My Afib has now returned to its paroxysmal weekly self. Has my experience been observed clinically? Oussama_Wazni,_MD: Yes - vagally mediated afib has been well described. Unfortunately even when the triggers have been identified and removed with subsequent improvement, the afib may occur at some time in the future. If you continue to have symptomatic atrial fibrillation, the next step is to try antiarrhythmic medications. Aquarius: What is the CHA2DS2 test? How is it done? Sergio_Pinski,_MD: This is a score for the risk of stroke in patients with atrial fibrillation. It is based in clinical variables, including age, presence of heart failure, hypertension, diabetes, vascular disease, previous stroke. We calculate it during every encounter with a patient with afib. Xomue: What percentage of afib patients end up having a stroke? Sergio_Pinski,_MD: This varies according to a series of risk factors, including age, presence of heart disease, diabetes, etc. This is reflected in the CHA2DS2-Vasc score. The risk varies from less than 1% per year to up to 7-8% per year. Anticoagulation is indicated for patients at higher risk. dricke: When will not warfarin medications be approved for those of us with bad valves and Afib? What is the holdup do you suppose? Thank you. Sergio_Pinski,_MD: I am not aware of any ongoing studies of newer anticoagulants in patients with valve prosthesis. Pradaxa (dabigatran) was less effective than warfarin in one study of patients with metallic valves. The definition of "bad valves" is very wide. Many doctors use new oral anticoagulants in patients with mild valve problems, mitral valve repair, etc. I certainly would avoid them with rheumatic heart disease, mitral stenosis, or metallic valves. rhdraper: Recently diagnosed with Afib (age 68; no prior heart or stroke history; CHADS score 0). My CHADS2 score is 0. My cardiologist recommends aspirin and watchful waiting. Is the additional 5X stroke risk for Afib patient’s absolute risk or relative risk? What is the scientific evidence that informs this 5X projection? What is danger of "overtreatment" for a condition that seems to have many variables of cause, treatment and outcomes? Oussama_Wazni,_MD: The decision to treat relates to the balance of risk and benefits - in patients with a low CHADS score the risk of anticoagulation is higher than no anticoagulation. When the CHADS score becomes high then the benefit of anticoagulation becomes high - and that dictates the therapy. jmcnasby: I am three months post ablation (CC, FL) and doing fine, but still on Tikosyn until October. My local cardiologists says even if my ablation proves successful (when I go off the Tikosyn), he recommends staying on Eliquis permanently. I have no structural issues, some high BP which is controlled with 100 mg of Toprol. I am disappointed with his recommendation. Is this a new trend or simply an over cautious doc? Sergio_Pinski,_MD: Current guidelines recommend continuation of anticoagulation after a successful ablation if the risk score (i.e., CHA2DS2-Vasc) is high. Many EP doctors, including me, will stop anticoagulation after a prudent time free of recurrent arrhythmias. Matilde: I am a 79-year-old retired physician with a history of atrial fibrillation (AF). I am scheduled for catheter ablation treatment on June 23, 2015. After failing to three drugs (Flecainide, Amiodarone, Sotalol) I was given a choice of Dofetilide or and I elected catheter ablation. I have no other risk factors except for my age, 79. My electrophysiologist states that with successful catheter ablation I may discontinue anticoagulants as I am on Xarelto but I will have to continue anticoagulants for two-three months following catheter ablation, then D/C or switch to aspirin; when I asked, he told me that if the procedure is successful my risk of stroke is like patients with no history of AF. My cardiologist states that even after successful catheter ablation, I will need anticoagulants on a permanent basis as the risk of stroke remains unchanged. May D/C or continue Xarelto? Luis, Seattle. Sergio_Pinski,_MD: This issue has not been well established. Guidelines suggest that you should remain on anticoagulants on a permanent basis if your risk score (CHA2DS2-Vasc) is high, even after a successful ablation. Common sense suggests that if you no longer have atrial fibrillation your risk of stroke should be lower, may be lower than the risk of anticoagulation. Many EP doctors (including me) would consider stopping anticoagulants after a prudent time if you remain free of atrial fibrillation after ablation. jackpat2: How important is it to be on clopidogrel in a patient who has a pacemaker in place, and has an occasional episode of Afib. These episodes last at the most 5-10 minutes, per pacer interrogation every three months. Oussama_Wazni,_MD: Clopidogrel has not been shown effective in preventing stroke in patients with afib and a high CHADS-VASC score. Clopidogrel can cause bleeding. Therefore, this medication is not indicated in this situation unless there are other reasons you are taking this such as coronary stents. chickbull: My wife is 80, BMI 24.5. She takes Pradaxa and believes at her age there is more risk than benefit. Her A-fib is controlled with flecainide and no events for a long time. How does she stop taking Pradaxa safely? She is determined to stop it. Oussama_Wazni,_MD: She can stop taking it if she is adamant to do so. There are other alternatives in her situation that may have less risk of bleeding such as apixaban that can be dose adjusted depending on age, weight and renal function. Xomue: Should patients who have had a successful catheter ablation for afib be on a blood thinner? Or is that necessary in their case since they are no longer having afib episodes? Sergio_Pinski,_MD: Current guidelines recommend continuation of anticoagulation if the risk score (i.e., CHA2DS2-Vasc) is high. Many EP doctors (including me) will stop anticoagulation after a prudent time free of atrial arrhythmias. Gabbie: When will the antidote for Xarelto be approved? joekieb: The legal community is spending a fair amount of time and money highlighting the adverse effects of the new medications. Obviously, this is causing anxiety for those of us who are taking these medications. I continue to hear that there are antidotes in the trial stages? Can you give your perspective on this issue and whether you have any information on when we might expect the FDA to approve antidotes for the new medications. Oussama_Wazni,_MD: Yes - there are antidotes that are in development but I am not aware of the timelines that the FDA may approve this. However, there are benefits of these medications - and the benefits when used properly outweigh the risks and that is why the medical community has been using them. joekieb: I have A-Fib. My ten year colonoscopy is coming up. I am concerned about this risk of stopping my anti-coagulant for five days. I have heard that an option might be the virtual colonoscopy offered at Cleveland Clinic. What counsel would you provide your patients with regard to this concern and whether from your viewpoint the virtual colonoscopy is something A-Fib patients should consider. I recognize each person’s situation is different but was wondering whether this is something that has been discussed by your team. Oussama_Wazni,_MD: We are faced with this situation frequently - it depends on the risk of stroke - for example in patients who have high risk of stroke, if they have had a previous stroke - then we are reluctant to stop the anticoagulant for even this period of time. We may bridge the patient with lovenox in this situation. However, if a person has a low risk of stroke and has not had a history of stroke, the risk of stopping the anticoagulant may not be that problematic. I am not very familiar with virtual colonoscopy - you may want to discuss this with your treating physician. Riverrat: My AFIB comes under the nuisance category. I go in to AFIB perhaps three or four times a week for just a few hours with a heart rate of no more than 125. I can often clear it by doing some mild exercise walking, or stair climbing. I was put on Xarelto and had a subdural hematoma and a resultant bi-lateral craniotomy. I was off of anticoagulants for over a year and am now on aspirin. I realize that too is a controversial prescription. My question is really about stroke risk as related to duration and severity of an AFIB episode. That too seems to be quite controversial. My CHADS score is a 0 and my CHADS2 score a 1 only because of my age. Given the current state of my overall health, which is otherwise excellent, I am comfortable with the aspirin only and would also be comfortable with nothing. When does duration of an AFIB episode such as mine, independent of all other factors, actually become a stroke risk? I have yet to find a clear answer. Oussama_Wazni,_MD: You are right - this is a controversial subject - however with a low CHADS score of 0 -1, given your history, aspirin should not be used. Atrial fib duration of more than 48 hours is taken into consideration a risk of stroke if cardioversion is planned. After 48 hours a Left atrial appendage clot should be ruled out before cardioversion or three weeks of therapy on anticoagulation should be implemented before DC cardioversion. Cassiopia13: My husband has afib and takes Warfarin for it. He had a bleeding problem in his arthritic kneecap which caused a lot of pain. The doctors drained off the blood in his kneecap several times to relieve the pain. He stopped taking Warfarin for a while and it stopped bleeding. What is a safe INR number for him to strive for to control his afib and the internal bleeding? Oussama_Wazni,_MD: Taking anticoagulants especially warfarin is associated with bleeding. For stroke prevention, target INR is usually between 2-3. But even with this target there is a risk of bleeding. A new development that can decrease the risk of stroke in patients with afib is the WATCHMAN Left atrial appendage (LAA) occlusion device. This device helps protect patients from stroke and at the same time avoids the need for anticoagulants and thereby decreasing the risk of bleeding. wfdeets65: Is the watchman available yet? Oussama_Wazni,_MD: Yes - the WATCHMAN has recently been approved by the FDA and is being utilized in select centers with expertise. We have experience with the WATCHMAN device and are doing these procedures at Cleveland Clinic. HarryF: Please talk about the "Lariat" procedures that are making significant headway into non-pharmaceutical treatment of A-fib stroke prevention. Taking blood-thinning drugs have their risks too. The Lariat procedures are a permanent clot/stroke prevention fix are they not? Oussama_Wazni,_MD: The Lariat procedure has not been FDA approved for stroke prevention. There are no large clinical trials that show this procedure reduces risk of stroke in the long term. It is now reserved for patients who have absolute contraindications for taking blood thinners. It is important to remember that a significant number of strokes are not all related to afib or the Left atrial appendage. Strategies to occlude or ligate the LAA are very local in nature whereas blood thinners are a global strategy that can prevent strokes arising in other areas. N62629: What is the difference between rate control and rhythm control for Afib? Are there advantages and disadvantages to each approach? Oussama_Wazni,_MD: Rate control is when patients are left in afib but the ventricular heart rate is controlled with meds such as metoprolol or diltiazem. This approach is usually used in patients who do not experience symptoms. Rhythm control is used when patients experience symptoms with atrial fibrillation and results in sinus rhythm. Sinus rhythm (normal rhythm) is definitely better than being in atrial fib however maintaining sinus rhythm usually involves the use of meds or ablation which may have side effects/complications. Sacandaga: What is afib with RVR? Is that somehow different? Sergio_Pinski,_MD: This means atrial fibrillation with rapid ventricular response. This means that many impulses travel from the upper chambers to the lower chambers via the AV node. The pulse rate is then fast. You are more likely to have symptoms when the ventricular response is rapid and may need medicines to reduce the rate. rastus007: I am an 83-year-old male, with diagnosed Congestive Heart Failure, Sleep Apnea (5+ yrs. ), and A-Fib (2 yrs. ), and MDS Leukemia (15 mos.). Also, wearing my 4th pacemaker (2 yrs. remaining). In ten years, my cardiologist only monitors my pacemaker, never discussing my heart or A-Fib. The only advice I have ever been given concerning my A-Fib problem is to “learn to live with it!” I need help ... with the leukemia and the a-fib simultaneously active about 75% of the month, I have no energy or strength. I was on Xarelto for my a-fib, but experienced ten days of internal bleeding. So now I take Xarelto only when the a-fib kicks in, and alternate that with 3000 units of EPA-DHA daily. My cardiologist has said that there are no alternative options for me other than Amiodarone, which he advises against. Do you see any viable options for me re helping my a-fib problem? Any "do's or don'ts" or advice on seeking a 2nd opinion? Cryoablation at Mayo in Jacksonville? Oussama_Wazni,_MD: This is a very complicated case which is better addressed in person. We would be happy to see you. PeterF: With persistent, lone afib for approx. 5 years, is there any new therapy that would be recommended aside from the current treatment with a beta blocker and anti-coagulation? Symptoms are mild with no effect on exercise and normal activities at age 65. Sergio_Pinski,_MD: One could consider ablation, although most doctors would not recommend it if you feel well in atrial fibrillation and the heart is otherwise normal. 2) Eliminate all possible contributory factors arising from: diet, habits, exercise, weight, diabetes, sleep apnea etc. 4) If 1 - 3 above fail to remediate A-fib I will try the ablation. Questions: Is this course of action sound? Any risk? Can one live with A-fib? Does A-fib ever "self-resolve"? Oussama_Wazni,_MD: Yes - this is a very sound course of action. There is no need for an implanted monitoring device unless you are high risk for stroke and do not want to take oral anticoagulants on a scheduled basis. The treatment for afib is for symptom relief. If you are not experiencing symptoms, the treatment should focus on stroke prevention and rate control and not the elimination of atrial fibrillation. Kristina: I had an ablation April, 2013 and it was a success though I had some trouble with very fast heartbeat that started a few weeks after ablation with rates rather steadily up to 120 bpm. I needed cardio version to get into slow and steady rhythm and I have been on TIKOSYN, first @ 250 mcgr and now since January 125 mcgr. My heart is a bit uneasy and my heart rate is 75 to 85, moving or resting. Two questions: could I stop the TIKOSYN now, and will I ever again go back to my resting heart rate @ 60 bpm as it was before the ablation. Oussama_Wazni,_MD: We do not know what your underlying rhythm is - you could be in atrial fib with a controlled heart rate and hence your symptoms. You need to be evaluated with an ECG and visit to an experienced cardiologist. swimsmart: I fear the side effects of Amiodarone and would like to get off it. Is there an alternative to controlling afib rather than staying on Amiodarone long term? Oussama_Wazni,_MD: Yes. Depending on your situation there are at least 4 other meds you can take. In the absence of coronary disease and heart failure flecainide and propafenone are options. If there is a history of heart failure or CAD then dofetilide or sotolol may be options provided your kidney function is normal. agprop: BEFORE 10/14. Fairly healthy (TIA 3/13) 73-year-old male, heart rate in mid-40's (walker), BP 115/70, weights 2x wk. 10/14 Rate > 80; BP 140/90; Echo: left vent norm, no wall motion abnormal, eject range 55-60% (similar to 2003). Holter: avg 99 bps with min 47 & max 157; sinus rhythm < 1% of the time. Diagnosis: Rate controlled A-Fib. 10/14 - 3/15. Since no symptoms, it was recommended that I take Eliquis and Metoprolol and do nothing else. I was uncomfortable doing what I considered to be abusing and damaging to my heart and a cardioversion was done on 12/14/14. Forty to 52 bps for 6 days, then reverted to A-Fib with 74 to 115 bps. Normal BP. NOW: Constant A-Fib; Eliquis (5Mg twice daily) and Metoprolol (25Mg daily). My rate is 74 to 120 bps with normal BP. No perceptible symptoms. QUESTION: Catheter ablation not being recommended, but I feel that I am damaging my heart by having it beating arrhythmically and at 2x the rate it could be. I would like to know your opinion regarding treatment. Sergio_Pinski,_MD: Guidelines suggest that accepting permanent atrial fibrillation is reasonable in the absence of symptoms. I would try a little bit harder to restore sinus rhythm in your case. This could entail another cardioversion under antiarrhyhmic drug (dofetilide would be first choice) or catheter ablation. chriscraft: I have been diagnosed in 12/14 with a-fib. I have been put on a beta blocker 25mg. I am not a pill taker and am thinking about not taking it anymore. What are the effects of stopping my med? Oussama_Wazni,_MD: You should not stop the beta blocker abruptly and if you are keen on stopping it you should wean yourself off it. In this way, you would be less likely to experience the rebound effects of stopping this medication. However you may experience recurrent atrial fib with high heart rates. bigkid: What are the success rates of drugs such as sotalol amd flecainide for converting and staying in SR from AF? How successful is the AFib ablation? Oussama_Wazni,_MD: Sotalol and flecainide rarely convert atrial fibrillation to sinus rhythm without DC cardioversion. Once in SR the risk of recurrence of afib on these meds is about 60% in one year. pinsos: Am taking flecainide which in my case suppresses both BP and HR ... I monitor both and take BP med (Bystolic 2 mg) only when BP drifts above 135 / 85 ... otherwise taking both my BP is 110 / 75 and HR 50 / 55. 1) Do you allow your patients to ... what ... self-medicate so to speak? These two products have given me the best overall results and fewest side effects. 2) Taking generic flecainide ... Does whatever the name brand is have a better, smoother, more consistent release so that I have a more consistent concentration in my system over an 8 - 12 hour span? Sergio_Pinski,_MD: I do encourage my patients to titrate their medicines according to symptoms when they have a benign condition such as paroxysmal atrial fibrillation or PVCs. I am not aware of any systematic difference in bioavailability between generic and brand name Flecainide (or any other antiarrhythmic by the way). The FDA generally looks into these issues before allowing generic preparations in the market. LP: I have been on a low dose (100 mg 1x per day) of amiodarone for 10 years and I am in rhythm. My eyes, liver, and lungs are being monitored for any unusual results from these tests. My resting pulse rate varies from 42 - 45 bpm. (Height/wt. = 75"/195 lb) (no dizziness when I move around) Should I be concerned about the length of time on this medication? low pulse rate? other side effects of this medication? In the future, if 100 mg doesn't keep me in rhythm, should I consider taking a higher dosage (200 mg/400mg) before I consider an ablation? Thank you!! Sergio_Pinski,_MD: Many patients can be on a low dose of amiodarone for many years without overt side effects. At such lower doses, most common side effects are hypothyroidism or subtle neurological impairment. Bradycardia can also progress to the point that a pacemaker is considered. If atrial fibrillation recurs on low dose amiodarone, certainly you could consider other treatments, such as ablation or dofetilide (after amiodarone is cleared) before a high dose of amiodarone. SR: I was diagnosed with atrial fibrillation a year ago. I am a 74-year-old woman who does not have any other cardiovascular disease problems other than afib. The Electrophysiologist prescribed Xarelto. A month ago I began seeing a new doctor. He prescribed an additional drug because my rate and/or rhythm was not being addressed. So, he prescribed Multaq. However, he is suggesting that I take the Multaq without having a cardioversion. I thought the drug and the cardioversion go hand in hand. And, after a month, I am still getting palpitations at times. I thought Multaq is supposed to eliminate the palpitations. Have I not given the drug enough time to work? And, should I have a cardioversion? Thanks for your suggestions. Sergio_Pinski,_MD: Were you in persistent (i.e., all the time) or paroxysmal (i.e., intermittent) atrial fibrillation when starting Multaq? If in persistent, then the drug is unlikely to convert you and you would need a cardioversion. If paroxysmal, the drug is prescribed to decrease the frequency, rate and/or duration of the episodes. It would be uncommon that Multaq would eliminate atrial fibrillation 100%. sbdavisrn: Do you ever use Magnesium supplements for your cardiac patients? I mean above the RDA. Sergio_Pinski,_MD: The dose of supplemental magnesium is generally limited by the appearance of diarrhea/loose stools. One should back off at that dose. 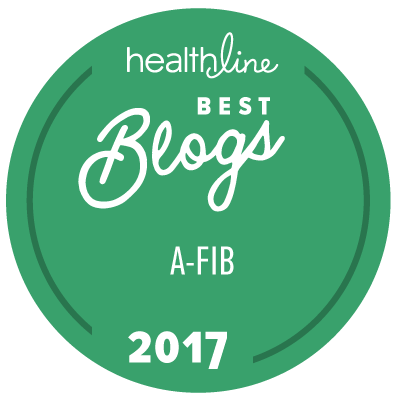 afib41: I am 41 and in excellent health overall, but had my first AFIB episode very recently. It sent me to the ER, but luckily went away on its own after about eight hours and I was discharged same day. I had just started taking some cold medicines, and the doctor thinks that probably triggered it. I was also under stress with work/life, but I take anti-anxiety medications for that. The first doctor I saw after the AFIB incident was my psychiatrist. I told him about this event and he gave me 20mg propranolol (twice daily) and 25mg amitriptyline (the latter to help with stress/sleep). I immediately read up on both and it said anyone with a heart issue shouldn't take amitriptyline. Is that true, even on 25mg? I haven't taken it yet because I'm afraid of anything that could trigger AFIB again. I don't drink alcohol or caffeine (anymore). Thanks for any advice regarding these two medication and their potential interaction with AFIB. Oussama_Wazni,_MD: Propranolol is used to control heart rate when in atrial fibrillation. Amitriptyline should not be used if you have heart failure (poor heart function) of post heart attack. Floridian: I have had A-Fib periodically for the past ten years. During that time I have had a "mini-maze" during open heart surgery (2007) for an aortic valve replacement (bovine) and three cardiac ablations (2011, 2012, 2014). I have tried most of the medications and have not been able to tolerate them. I have had a pacemaker implanted (2014). My cardiologist does not like doing cardioversions as he contends that there is some damage to the heart with each cardioversion. Am I a candidate for a hybrid ablation even though I have had open heart surgery? Sergio_Pinski,_MD: Cardioversions do not have a cumulative negative effect on the heart. It is just a question of "diminishing" returns. I don't think you would be a candidate for "hybrid" approach with previous aortic valve surgery. davidpress: I am 78 and in very good health with a total cholesterol of 145. I have had sporadic episodes of afib since 1999 but it has lessened since I went on a vegan diet with very low sugar, oil, or salt. I still go into afib occasionally, about once a year, and have to be cardioverted. I am taking 400 mg of dronedarone (Multaq) twice daily, plus 5 mg of apixiban (Eliquis) twice daily, plus amlodipine and lisinopril daily to control BP. Also, my last episode of afib was a year ago. I am concerned about the future as I age. I have considered an ablation but the success rate has been only fair from what I read. Do you recommend it for me? Is the FIRM ablation better, and do you think any better treatments will be forthcoming? Oussama_Wazni,_MD: Atrial fibrillation ablation is reserved for symptom relief in patients who feel that their quality of life is adversely affected by afib. Cardioversion once a year is acceptable for most patients however if you feel that this is not so in your case, then an ablation may be reasonable. Gabbie: How successful is ablation for AFib? (no AFib with no meds needed, or no AFib but with meds? Oussama_Wazni,_MD: The success rate of ablation depends on whether the afib is paroxysmal or persistent. The success rate of paroxysmal atrial fibrillation is about 70-85%, without the need for antiarrhythmic meds. With antiarrhythmic meds, the success rate may be up to 90%. In the case of persistent afib, the success rate is about 50-75% and with medications can go up to 80%. fiat127: How do you know where to "burn" during ablation in case of Vagal Paroxysmal Atrial Fibrillation? What are the success rates of Vagal Paroxysmal Atrial Fibrillation? Are they higher compared to other Paroxysmal AFibs? Sergio_Pinski,_MD: Pulmonary vein isolation is the mainstay of ablation for so-called "vagal" AF. Some people extend the ablation a little to get the nervous ganglia around the veins. Eliciting vagal responses (i.e. heart rate slowing) during ablation is a marker of success. Often times, the sinus rate will be faster after a successful ablation. giorgio0668: Good morning. I'd like to know if in one patient that had two heart surgeries (both to correct mitral regurgitation, Dec. 2008 and Oct. 2013), and now suffering of Afib and Flutter, can do the transcatheter ablation with success or it's useless. Some doctors suggest me to do the procedure but other doctors say that in my case there are not percents of success, because my Left atrium is 50/55 mm dilated and it's possible to have a fibrotic tissue... In the last surgery I receive the edge to edge (Alfieri method) for the mitral valve and now it's working very well with no or mild regurgitation and mild stenosis. I heard about a minimal surgery (Maze IV), without CEE for the ablation with more percents of success even in patient with atrium dilated; is it a truth? What can you suggest me? Is it possible to show you my exam to explain better my situation? Now I am taking pills (1/2 Almarytm x 2 plus 1 Sotalol x 2). In one year and half I had six episode of AF/Flutter; in two cases CVE. Oussama_Wazni,_MD: If you are having recurrent atrial fib/flutter then it is reasonable to pursue an ablation. Even though the success rate may not be as high as in someone who has not had prior cardiac surgery or in whom the left atrium is normal size. We have had success in such patients - on the other hand there are some patients in whom the procedure has not been successful. There is no way to know until we try the procedure. We would be happy to evaluate you. jeffer: I have an Alivecor ECG monitor. Prior to my ablation, my "normal" rhythms always looked completely "normal". Post ablation though (six weeks now), my "normal" rhythms always contain several PACs and my AF detector says "undetermined" (not "normal rhythm"). I also still have occasional AFIBs, which is understandable. My question - is it normal to have additional PACs after an ablation procedure and would these extra beats be likely to subside with time? Oussama_Wazni,_MD: Yes - within the first 6 - 12 weeks after an ablation it is normal to have additional PACs and/or more atrial fib episodes. This is related to inflammatory process that occurs after the ablation. This usually settles down after that time period. fastguppy: Hi, I am a woman who was diagnosed with afib in March at the age of 42. I am average weight, no diabetes, and have been swimming recreationally for about seven years, but in the past three years I have been training for endurance races. My resting hr without meds is usually in the 50's. My first afib happened during cross country skiing - hr between 140-180 for three hours, spontaneously resolved. I have cut out all alcohol, and have had two shorter afibs since, both times after a short, moderate to light intensity bike ride. I'm taking diltiazem cd 120, as metoprolol made me feel tired. I'm growing increasingly frustrated at my inability to exercise, even recreationally. The meds reduce both afib symptoms and my endurance. Questions - is catheter ablation for me (assuming my echocardiogram is normal)? Also, I delayed taking medication as I wasn't having afib events, but started when I noticed an increased frequency of 'palps' after climbing stairs, etc. Are those short events of palpitations also afib? Oussama_Wazni,_MD: If you have had afib in the past, it is possible that these palpitations are short episodes of atrial fibrillation. AFib ablation is indicated in patients who have had afib that is recurrent despite medical management or in patients who cannot tolerate the medications. If you have not tried anti-arrhythmic medications this is an option before proceeding with an ablation. Although based on your situation an ablation sounds reasonable at this time. Nobel: 1) I had my second ablation in Italy three weeks ago. During my hospitalization, I was also diagnosed for obstructive sleep apnea (moderate to severe) for which I will start using CPAP. At the same time my CT scan for the nose and airway indicates that I may require a conservative surgery- depending on what benefit I will get from CPAP- Do I need to stop Pradaxa for that surgery? And what is the minimum time after ablation that I can undergo such surgery? 2) The second day of my ablation, I had ICM brand (Reveal LINQ) but I am not satisfied with the service provided by the center where I had the Implant. Can I use another center to monitor and report to me my heart Arrhythmia status? How can I go about that? I am living abroad working between Jordan, Saudi Arabia and Sultanate of Oman. 3) Please recommend me a top surgeon to do the conservative ENT surgery for my apnea. 4) Pradaxa is causing me some gastric discomfort and I don’t want to use Nexium. Can I use OCDs like Maalox or Gaviscon? Sergio_Pinski,_MD: 1) I prefer to wait three months after catheter ablation for elective surgeries that require discontinuation of anticoagulation. 2) You could possibly transfer the follow up of your LINQ recorder to a different center. 3) I can't do that at this time. 4) Try to take Pradaxa with food. This often helps with gastric discomfort. grampa: I am 64, had a TIA 11/23/2000, A-Fib since 2/2008. Been on meds and had three cardio versions and cryoablation in the last two years. Nothing is working, what is my next step? Sergio_Pinski,_MD: You could consider another ablation with radiofrequency or even surgery. Alternatively, many people do well in permanent atrial fibrillation provided anticoagulation is maintained and the rate well controlled. Nobel: I am a 61-year-old (male). I had my second ablation for paroxysmal atrial fibrillation a month ago and have inserted a Cardiac Monitor. 1. What are the criteria to judge that the ablation was 100% successful? 2. For a successful ablation, does that mean the fibrillation is completely gone or merely controlled by the scar created in the ablation? 3. I am scheduled to receive physiotherapy which involves electrical current applied to the upper back muscles. Is that safe or it can interfere with heart electricity? 4. Assuming I am a cured patient by ablation, do I need to consider in the future, the closure of atrial appendage or it is not needed? 5. During my Ablation in hospital, I was diagnosed for Obstructive sleep apnea, I am now using the CPAP but not happy with it. My CT scan suggests that I undergo conservative surgery to correct a few locations in the nose, like; upper part of septum, nasal valve, tonsils and soft tissue. Would you recommend a competent surgeons who can do that surgery. Sergio_Pinski,_MD: Accepted "academic" criteria is no arrhythmia lasting more than 30 seconds on no antiarrhythmic drug. Clinically, you can accept some longer, self-terminating spells. 2) It would be rare for the atrial fibrillation to remain confined to a small area of the atria around the scar. It is generally gone after a successful ablation. march118523: Is there an age limit to consideration for cardiac ablation for atrial fib, and what is the average expectation for improvement in cardiac efficiency? Oussama_Wazni,_MD: There is no age limit for ablation. The atrium usually contributes about 20-25% of cardiac function, so if atrial fibrillation is abolished, one would expect to regain that amount of efficiency. nutzy: I have valvular atrial fibrillation after a history of rheumatic heart desease. In 2003, I have undergone a mitral valve replacement with a prosthetic one and a MAZE procedure but my atrial fib. continued to disturb me. From then, I had many electrical cardioversions (successful). The sinus rhythm was restored for a while and I continued with an antiarrhyhmic drug propafenone, or amiodarone (until hyperthyroid started), dronedarone...every drug helped for a while; tykosin I didn’t try because my valvular problems. NOW I take every day concor 10mg twice daily, diltiazem60mg 3 times a day, co-diovan 80mg once a day, warfarin and once a day Januet for diabetes. I know that between those medicines are a lot of interactions BLOOD PRESSURE FELT DOWN and for that doctors implant me a pacemaker. i feel so ad sometime that, I don't go out. Some kind of ablation procedure (not AV node) maybe could be performed in your clinic? 2) Please have a look. Maybe you can replace one of the drugs for rate control. Sergio_Pinski,_MD: I would not consider a left atrial ablation procedure in your case. Dofetilide is not contraindicated because of a valve. An AV nodal ablation would allow you to stop many of the medicines and you are likely to feel better. If the left ventricular function is not normal, one could consider "upgrading" to a biventricular pacemaker before or after AV nodal ablation. peters: Is the so-called 5 box ablation technique really as effective as stated...95% success? What about the effectiveness of the so-called hybrid or convergent ablation? Since all ablations for persistent afib fail more than they succeed why not do the surgical Maze (not the mini maze) from the outset? I am a primary case, hit four weeks ago with what became persistent...successfully converted twice (both worked but the first only for several days) second time after Tikosyn loading and have been in SR for last two weeks. I'm 68, otherwise in excellent health, with no cardiovascular disease. Have controlled hypertension and OSA with an APAP machine worn nightly. Don't smoke, drink, walk two miles a day...heart healthy diet. Really depressed and anxious about becoming an afib invalid living on toxic medications and with no QoL. Thanks. Oussama_Wazni,_MD: Most people with atrial fibrillation do not become invalids. Since your atrial fibrillation is well controlled with Tikosyn, I think you have a good chance of curing your atrial fibrillation with catheter ablation, should you experience a recurrence of afib. We do not have experience with the 5 box technique. Pepper2015: Please compare cryoablation vs. other methods. I've read it is lower risk since it is a shorter procedure (two - three hours vs. six hours) with less complications and higher success rate since with the balloon the whole area can be frozen at one time so there is lower risk of leaving gaps of unscarred tissue and lower risk of need for 2nd procedure. What are your thoughts? What determines which method is used? Are there specific patient scenarios that are better suited to one method or another? Or, is it mostly the experience and training of an individual doctor? What are pros/cons of this method? Who are the top doctors doing cryoablation? Do the different methods have different success rates? I have paroxysmal afib with long pauses which are the biggest concern to my doctors. Would I be a candidate for cryoablation? Sergio_Pinski,_MD: In our center the duration of cryoablation and RF ablation is similar (two - three hours). The incidence of complications is similar with both procedures. Cryoablation has more risk of damaging the phrenic nerve that moves the diaphragm. Most centers reserve cryoballoon ablation for paroxysmal atrial fibrillation. RF ablation is used both for paroxysmal and persistent atrial fibrillation. Ultimately, it is the physician's experience and skill with one or the other approach that is the main determinant of success. kdt1999: What are the chances of ablation being successful if I have a calcified mitral valve. So far I'm being told not good. I have perpetual Afib and no anti-arrhythmia drugs or cardioversion have helped me at all. Have you knowledge that Hyperparathyroidism causes Afib? This has come to be known with para patients in the last few years. As a matter of fact, after successful removal of parathyroid adenomas, Afib has disappeared in some patients who didn't develop valve problems. Sergio_Pinski,_MD: I have seen patients whose arrhythmias have resolved after successful surgical control of hyperparathyroidsm. None of those had permanent atrial fibrillation. The chances of success of ablation in a patient like you are not great. kit: I am a 100-pound 76-year-old female diagnosed with A-fib in 2008. None of the anti-arrhythmic drugs work for me. I had a failed ablation in 2011 with cardiac tamponade and a long recovery from pericarditis. I tend to have tachycardia and am taking 25 mg. metoprolol tartrate b.i.d. I am very fatigued much of the time, although my heart rate doesn't go below the mid-50's. I am very symptomatic with irregular and "extra" heart beats. My regular cardiologist suggested a pacemaker and an E.P. wants to try another ablation. I would appreciate an explanation of what each would do for me and which you think should be tried first. Thank you. Oussama_Wazni,_MD: A pacemaker would not abolish the extra heart rates or palpitations. However, it may give your doctors more room to treat you with medications that may suppress these symptoms. Another ablation is also reasonable in this situation. Given your past experience, you should be evaluated by a very experienced center for a redo ablation - we would be happy to see you. Xomue: What percentage of those who have had successful ablations for afib eventually develop afib again? I had the standard catheter ablation in Oct. of 2012 and so far I have been afib free. However, I do experience intense palpitations sometimes, and sometimes those palpitations consist of a heart rhythm that skips beats, but it never goes gets "out of rhythm." Oussama_Wazni,_MD: The risk of developing atrial fib after one year of a successful ablation is about 6-7% per year. papadon: I am a 75-year-old man with intermittent Afib and pronounced apathy when out of rhythm. What are my chances that Ablation will cure my Afib. (given a competent, experienced Cardiologist) and is a Pacemaker my only other option? Oussama_Wazni,_MD: A pacemaker is not indicated for the treatment of atrial fibrillation. If your afib is intermittent than your chances of success with ablation are 75-85% in experienced hands. pinsos: Atrial ablation procedure in my mind is a big deal ... multiple burns, Tran septal poke, general anesthesia etc. ... 25% redo probability. So, 1) Do you agree with PVI and FIRM ablation at same time? 2) If you agree which (PVI/FIRM) should be performed first? Sergio_Pinski,_MD: FIRM ablation is not an established procedure in my view, needs more research. PVI remains the mainstay of any atrial fibrillation ablation strategy at this time. peternemer: I'm due to have the FIRM ablation in June. I’ve had two previous ablations that have lasted about three years each. What is your opinion of this new type of ablation? Oussama_Wazni,_MD: Our experience with FIRM ablation is new. Although initial reports were promising. More recent reports have been less optimistic. We will need to gain more experience with FIRM ablation and also have longer term follow up to better judge this approach in the future. There is no data on three years follow up post FIRM ablation at this time. h@celebration: Please explain Stereotaxis and comment on the safety of the procedure. Oussama_Wazni,_MD: Stereotaxis is a very safe procedure - it involves moving catheters remotely using magnetic fields. Renice: What cures afib? Is there a cure? Sergio_Pinski,_MD: I prefer not to use the word “cure” when talking about atrial fibrillation. Remission appears to be more accurate. Sergio_Pinski,_MD: The Australian study showed very significant improvement in patients with >10% weight loss regarding freedom for recurrent atrial fibrillation. In my practice, weight loss and diet are an integral part of treatment for most forms of atrial fibrillation. I personally follow a vegan diet. Estherlily: Do procedures such as electroshock to the heart and ablation work years into afib? I was diagnosed with afib more than five years ago; it is persistent - I have never been out of afib per the many ecgs I have had over the years except for three days following an electroshock treatment a few months after an aortic valve replacement last year. During the open-heart valve replacement surgery incisions were made in my heart (forget the name of the procedure). Nothing has worked. I have about 150 lbs to lose (I have already lost about 100 lbs. over a decade). Will losing weight and getting in shape give me a better chance of eliminating afib? I am female and I just turned 65 two days ago. Thank you very much. Oussama_Wazni,_MD: Yes - you should lose weight - that can help improve your afib and your symptoms. Cardioversion can work with proper lifestyle modification and procedures can help with lifestyle change in an experienced center. LODGER: I had my 3rd pacemaker implanted last September, to control atrial tachycardia. Following that, I reported a slight increase in shortness of breath after climbing one flight of stairs. My cardio doctor had the pacer tech make an adjustment, which increased the bpm rate. I have briskly walked three miles, three or four times per week for five or six years, with heart rate in the low 90's at the end. Now a normal short walk results in 95 bpm rate. I now have aortic valve regurgitation, as indicated by a couple echo Doppler examinations. I have some symptoms, some shortness of breath when walking briskly, occasional minor dizziness while standing, etc. Question: could the programed increase in heart rate be compensating for the aortic valve insufficiency, and thus masking the degree of aortic valve insufficiency? Oussama_Wazni,_MD: Not really - increasing the rate of the pacemaker base rate may decrease the appearance of aortic valve regurgitation on an echo but would not mask the symptoms related to it. If you have symptoms related to aortic regurgitation you will need an evaluation for aortic valve repair or replacement. PistolPete: I had Aortic valve replaced with tissue valve in 7/2011. Everything is fine except my PVCs are now between 25 to 30,000 per day or around 30%. I do not feel them and they do not interfere with my daily life at all. However they are too high. Medication so far has had no effect. Oblation is an option but the general feeling is if I feel okay I should just be monitored. If some type of warning or damage starts I should get the oblation immediately. Should I be pro-active and get the oblation? Oussama_Wazni,_MD: Yes, you are correct. As long as you do not have any symptoms there is no immediate indication for ablation. In general medications are not effective in suppressing pvcs. Your heart function specifically ejection fraction needs to be monitored probably with an echo every six months and if there is evidence EF is dropping, then ablation should be strongly considered. Tadpole325: Do PVCs and PACs lead to Afib or other tachycardias? If so, is there a threshold of frequency of PVCs and/or PACs that indicates a need for intervention? Sergio_Pinski,_MD: PACs and PVCs could be triggers of reentrant tachycardias. PACs certainly can initiate atrial fibrillation. However, there is no threshold of frequency that dictates need for intervention. Treatment depends on symptoms and physiological impact (for example very frequent PVCs could decrease the pumping function of the left ventricle). Oussama_Wazni,_MD: The presence of PACs do not indicate the ablation was not successful. It is possible that it is still early in the ablation phase and the PACs may be related to inflammation due to the post ablation - they may subside over the next few months. If Rhythmol has not been successful - you may try flecainide - if these PACs continue to be frequent and symptomatic in the next few months - another ablation targeting the PACs may be considered. kahuna8: Diagnosed with PMVT, based on one stress test. I also have an aortic valve that needs to be replaced; symptomatic, mean gradient 50, valve 0.8. Please explain the relationship, if any. STS score 2.73; age 79, male, overall excellent health. Comments - TAVR VS J - incision. Thank you. Sergio_Pinski,_MD: I am not an expert in aortic valve replacement. I cannot help here. Sorry. Mellanie True Hills: On behalf of the afib patient community, I’d like to thank Dr. Oussama Wazni and Dr. Sergio Pinski for answering our questions. We will post the transcript of this chat soon - sign up for our newsletter at www.stopafib.org to be notified when it is posted.